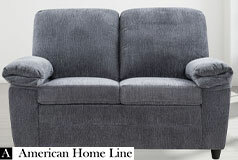 This gorgeous, luxury edition London Gray Chenille loveseat features clean lines that works well in any room setting. 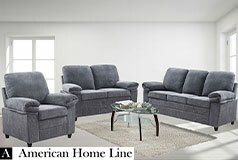 The attached seat and back cushions are made from premium materials. 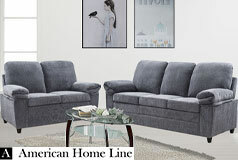 You can relax in style and comfort. For added support, the plush pillow arms give you plenty of space to lounge. Unlike other chenille fabrics, the luxury edition is made with a higher cotton count. The natural fibers are more breathable, and it’ll wear better. It’s softer to the touch than lower grade chenille fabrics. 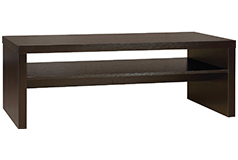 This loveseat provides ample of room for two people. 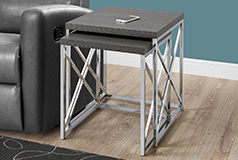 It’s a great edition to your living or family room.